Today is the 10 year anniversary of Pixar’s Ratatouille. It’s hard to believe it’s been that long since we were last in Paris, learning how to cook alongside Remy, the rat, and Linguini, the garbage boy. Not to mention following them on their escapades through the city as they tried to covertly work together at one of the most famed Parisian restaurants. For most of us, less culinary experienced food-lovers, it was a thrill to watch Remy create such tempting and savory dishes on the big screen. We almost forgot it was in fact an animated film and a rat was responsible for all of the colorful foods – creating unique dishes that would make even Gordon Ramsay stop in his tracks (after all, his signature dish did bring Anton Ego right back to his childhood). I was almost disappointed to find there are no rats who knew how to cook in real life or a little restaurant hidden in Paris that’s run by them. I won’t lie and say that after I watched the film for the first time, little 15-year-old me wanted to enroll in a cooking class and learn how to make food as well as Gusteau. When the film was released, I’d just finished my freshman year of high school. There was a lot I had yet to experience in life: high school bullies, college rejection letters, heartbreak, and the cruel world of adulthood. I didn’t realize it at first, but in my worst moments, when I was doubting myself and my potential in life, the themes in Ratatouille kept me going and believing in myself. When you look at the entirety of Ratatouille, it really is a simple film at heart. It’s about a rat, who’s always had a fascination for food and its flavors, and has always dreamed of becoming a cook. He never thought in a million years he would be cooking at Gusteau’s in Paris – the only person who truly understood him and kept him company was Gusteau himself, a figment of his imagination; giving him food tips and overall confidence boosts. It was even Gusteau who said that anyone can cook. Remy’s family didn’t really understand his love for human food, they wanted Remy to be apart of their rat civilization and way of living. But Remy always had that dream, the passion burning inside him, he never forgot about what motivated him every day; to do what truly makes him happy, even if other people doubted him or thought it was the wrong thing to do. This quote that Anton Ego delivers at the end of the film is pinned up to my desk at work. It’s a nice reminder every day to believe in yourself, even if others don’t or even if you come from a less privileged background. I’m thankful for this quote and the meaning it’s given my life. It’s one of the most important quotes in any Pixar film and probably any animated film released in the last 10 years. It’s the type of message that’s needed, especially today; not only for children, but for adults with hidden passions or who are still struggling to fulfill their own dreams. Looking back at Ratatouille, it’s truly taught me that it’s never too late to run after my passion; to keep going, never stop, even if it seems impossible. Since I was a child, I’ve always wanted to work in the animation industry and tell stories. When I was in college I struggled to get internships and gain experience to one day land me a job at any big studio. When I graduated, I worked the odd job here and there to save money and to get me to Los Angeles. Almost two years ago I finally landed a job at a small animation studio. There’s still so much I have yet to learn, and so much I still want to do, but it’s landing that first job in the animation industry that made my heart want to burst. And I realized then, it’s all true – anyone can cook, or paint, or write. It doesn’t matter where you come from, or what experiences you don’t have; what’s important is that you have equal potential and you’ll end up where you’re supposed to be in the end. In short, Ratatouille is undoubtedly one of Pixar’s most charming and unique films. Like the themes that carry on throughout Up, Monsters Inc., The Incredibles, Finding Nemo, and most recently, Cars 3; the studio continues to share worthwhile lessons to children and adults alike. Here’s to the next 10 years of inspiration and chasing after your dreams. Have you ever wanted to see some of your favorite artwork from Pixar films in real life? Fear no more, as a new exhibition has just opened up at Gallery Nucleus in LA today. For the first time ever, the gallery will be showcasing brand new images from each of Pixar’s feature films. What makes it even more unique is that John Lasseter himself picked each design for the show. There will also be hand-signed limited edition prints for sale by each artist who worked on the pieces. Thanks to Oh My Disney for providing the artwork that will be featured at the showcase. Be sure to check out Galley Nucleus and celebrate the art of Pixar if you’re in town – it runs from today, December 10th to January 8th, 2017. To celebrate the ghoulish day of October 31, Pixar has re-imagined horror movie posters with our favorite Pixar characters. Although “Toy Story of TERROR!” (2013) is the only Halloween themed Pixar offering, these new posters show the sinister potential in these popular and heartwarming films. Can we ever expect a full length horror movie from Emeryville (low on the gore)? Or a chilling ghost story? Let’s hope so! In the meantime, enjoy the frightfully fantastic posters. (via twitter). So this is definitely funny rather than sinister, but a Rex that’s actually scary?! That is indeed scary. This wouldn’t be the first time Sulley terrified Boo! Ratatouille 3D Blu-ray Coming Soon? : When Pixar’s Josh Hollander shared news on Incredibles 3D and Ratatouille 3D last month, many assumed that the studio was prepping these conversions for theatrical re-releases. However, a report from Disney Next claims that Ratatouille 3D will be released on Blu-ray in Europe this July, accompanying Disneyland Paris’ new Ratatouille attraction. No official announcement has been made. Ratatouille Ride Update: Meanwhile, construction on the aforementioned Ratatouille ride continues to move along. Disney and More has some great photos of the work-in-progress area, which may open up for annual passholders as soon as late June. Check out the image gallery here. Pixar Demos Its Latest Animation Software: Since its earliest years, Pixar has mostly relied on in-house software to animate their films. The studio recently rewrote their animation system from the ground up, replacing their original Marionette software with the far more optimized Presto. At this year’s GPU Technology Conference, Pixar’s Dirk Van Gelder and Danny Nahmias shared a detailed look at this new system, which aims to give animators a clearer idea of how their work will appear in fully-rendered frames. Take a look at the fascinating demo below, and for more, watch the full presentation on Ustream. Over the last few years, Pixar has welcomed the revival of 3D with open arms. In addition to releasing all of their features since Up in 3D, they’ve rolled out 3D theatrical re-releases of Toy Story, Toy Story 2, Finding Nemo, and Monsters, Inc. At this month’s 3D Creative Summit, Pixar’s director of 3D production Josh Hollander shared insight into the studio’s approach to the format and discussed their future 3D plans. According to Hollander, the studio is hard at work developing 3D versions of The Incredibles and Ratatouille. He notes that "[they’re] trying to figure out exactly what the release strategy for that will be," so whether these will be full-fledged theatrical releases or just 3D Blu-rays (like Cars 3D) is unclear. "The movie is just pure magic […] We’re looking at how translucency and opacity is used, which plays really well in 3D. There’s not much more I can share about it but it will build upon our use of 3D, supporting ‘emotions’ and emotional moments." "Of those, the High Dynamic Range seems most interesting to us because there are entire worlds of colour that we’ve not been able to show you and not be able to represent in our films because of the limited colour space of the display technologies. 4K is also interesting to us – that added clarity. High Frame Rate isn’t something we’ve been digging into yet, we’re doing some testing but it’s not banging down our door and begging for us to use it right now." To read more from his talk on the state of 3D cinema, head over to ScreenDaily for the full story. Based on Hollander’s statements, Ratatouille 3D is near-complete, while The Incredibles 3D is still knee-deep in production. Stay tuned for further details on those releases. Are you interested in more Pixar 3D conversions? New Pixar Posters from Mondo to be Showcased This Week: Disney has worked with Mondo to release some impressive Pixar posters in the past, and that collaboration is set to continue. Mondo is exhibiting a collection of Disney/Pixar-inspired posters at the South By Southwest film festival from March 7 through March 11. 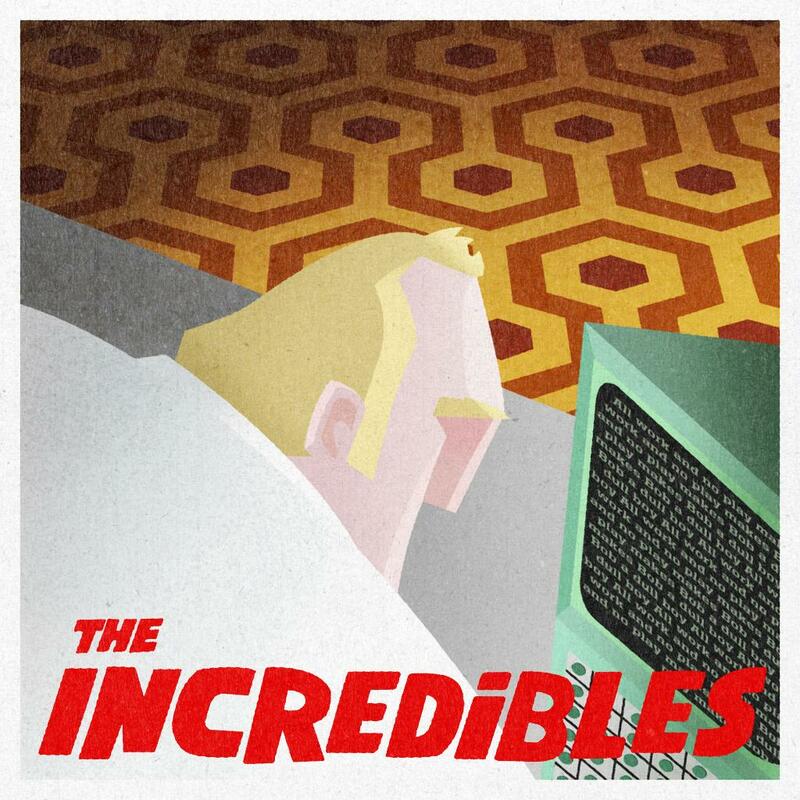 Tom Whalen shared a peek at his Incredibles poster for the gallery; to see Kevin Tong’s Up and WALL-E prints, head over to Oh My Disney. Ratatouille Ride Updates: A Ratatouille attraction for Disneyland Paris has been in the works for a while, and the first concrete details have begun to emerge. Disney’s Tom Fitzgerald presented a first look at the attraction, titled Ratatouille: L’Aventure Totalement Toquée de Rémy, earlier this month. Watch his talk below, and check out Inside the Magic for a few more details. 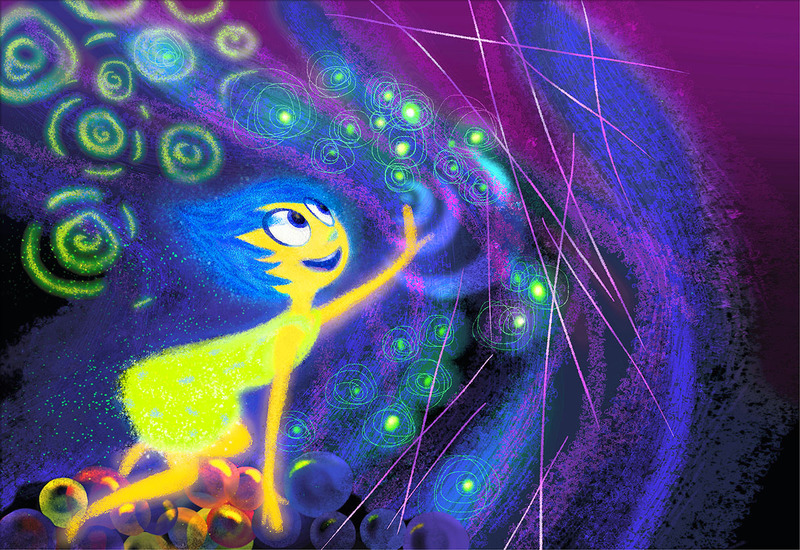 Inside Out Updates: Pixar’s next film is still more than a year off, but production on it is already well underway. Pixar recently shared a photo of Mindy Kaling recording dialogue for the film on Instagram, and Pixarians have begun to voice their enthusiasm about the project on Twitter. Hopefully we’ll get a teaser trailer within the next few months! Additionally, a gorgeous Monsters University topiary recently debuted at Walt Disney World in preparation for the Epcot International Flower and Garden Festival on March 6. Head over to MouseSteps (via Pixar Post) to see the astounding attention to detail. Final Cover Art for The Art of Monsters University; Coming June 11: Chronicle Books updated the Amazon listing for The Art of Monsters University, replacing the tentative cover art with a final, bolder design. Preorder now at Amazon or Chronicle Books, the latter of which currently lists a June 11, 2013 release date. Monsters University Theater Standee: Another inventive step in the ad campaign for Monsters University, a Pixar Times reader recently spotted this standee for Pixar’s next film at the cinema. Step behind the blank ID and say ‘cheese’ for your student photo! Pixar’s Oscar Toast for Brave: Spirits were high at Pixar Animation Studios this week following Brave‘s Oscar win. The official Brave Facebook page posted a few photos of the festivities that ensued; check out the gallery here. Interview: David Tanaka on ‘Pixar in Concert’! Note: This Q&A was conducted by contributor Leo Holzer. The following is an email interview I had with David Tanaka, the Creative Editor of Pixar in Concert. I’d like to thank Tanaka for his detailed answers and Chris Wiggum at Pixar for arranging the interview. Q: Please tell me about the process. What prompted the Pixar in Concert idea? How easy was it to get everyone on board and how long did it take from idea to this past weekend’s event? Tanaka: The entire process for Pixar in Concert actually took around two-plus years, starting in 2010. Show produces Brice Parker and Laurel Ladevich and myself were in constant communication with Pete Docter, Jonas Rivera, and John Lasseter over that period of time, as we sharpened the conceptual approach to the concert, reached out to all the Pixar directors, producers, and music composers, and refined the evolving edited musical suites for each of the Pixar movies to be featured in the performance. It really all started with a simple, "What if we did a concert on the music of Pixar?" from Brice Parker to Pete Docter. Pete, whose mother is a music instructor and has a strong musical background himself, loved the idea. Based on his interest in the proposal, I started editing a few "sample cuts" on some of the Pixar films in accordance with the base idea. I believe the first few edits included UP, Finding Nemo and the first two Toy Story movies. After review with Pete and Jonas Rivera, the results were then shown to Disney Music Publishing’s Chris Montan and Tom MacDougall. They in turn embraced the idea and encouraged us to continue to pursue the project. A few edited iterations and additions later and we had a formal presentation to show to John Lasseter in one of Pixar’s screening review rooms. John also loved the idea and agreed that the concert should really be only about the music – no dialogue at all from the Pixar movies to interrupt the audience’s pleasure listening to the musical scores, very limited sound effects only to enhance the point of the music if need be, and imagery directly from the movies themselves with no additional "bonus material" such as behind-the-scenes conceptual artwork or crew photos. This would instead be "all about the music", as it relates to what the audiences members themselves experienced when they first enjoyed the Pixar movies through the years. With this set of parameters understood and agreed upon, a constant stream of editing was produced and sent to Pete and John as our creative executives over the coming months. Given both individuals’ busy schedules and other company commitments, this often resulted in a lot of QuickTime movie files generated and many "iPad" reviews. They in turn would give Brice Parker, Laurel Ladevich and myself cut content feedback via email or voicemail, with occasional formal review get-togethers wherever possible. We would also arrange for individuals such as music composer Michael Giacchino to stop by my Avid Media Composer edit suite from time to time to review certain cuts (specifically The Incredibles, Ratatouille and Up in Michael’s case). Michael in particular was very gracious with his time, offering great suggestions not only with musical selections, but also pointers on how, for example, to rhythmically transition from low melodies to extremely fast-paced scores and vice-versa in certain cases. Q: What was your role as creative editor? Tanaka: My role as Creative Editor entailed performing all edits for the entire set of Pixar musical concert suites, from the first rough-cut conceptual passes to final online polishing. The process involved collaborating with all of the Pixar directors, producers, and music composers to ensure that my personal selection of music and related animated imagery jibed with their expectations for each of the 13 Pixar animated features to date. Q: Tell me more about the selection and order of clips to support the underlying music. Tanaka: I was pretty much left to my own accord regarding how to initially approach musical selection and accompanying Pixar picture content. With the amount of creative control I was given, I thought it best to approach the editing process by simply asking myself as a moviegoer, "What are my fondest memories from each of the Pixar movies?" 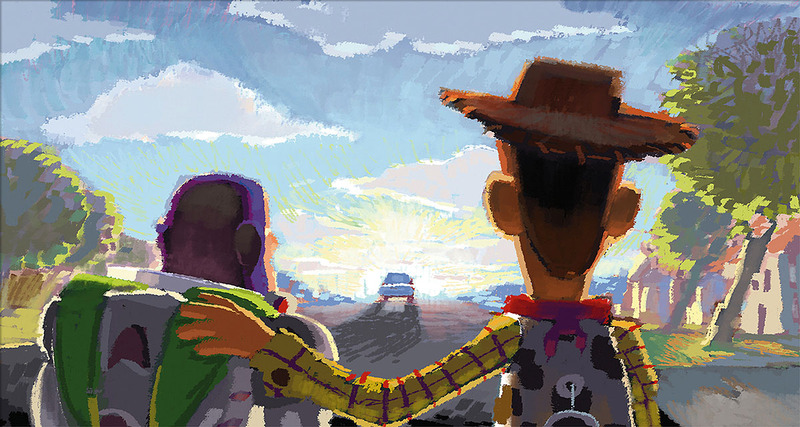 For that reason picture and music were often cut together, directly from each Pixar movie as they were synced for original feature film release, as a starting point. 1 – Core Narrative Theme Per Film: Since this concert project is to celebrate the music of Pixar, we don’t necessarily want to re-tell the entire story of each movie, from start to finish, in some kind of condensed cut version. We knew we could pretty much assume that persons paying for tickets to experience this concert had seen most of the Pixar movies, if not all of them. Therefore, from an editorial standpoint, the challenge became how to craft one’s favorite moments from the films into some central narrative core theme or message per movie. In the case of Ratatouille, for example, it was Remy’s "joy of cooking" over, say, Linguini’s romance story with Collette or his butting heads with Sous Chef Skinner. For Finding Nemo, it was the father/son relationship between Marlin and Nemo despite how entertaining the banter between Marlin and Dory was to watch. For Up, it was — no question — all about Carl Fredricksen’s love for his best friend and wife, Ellie, despite his newfound relationships with Russell, Kevin the bird and talking dog, Dug, in the movie. In making these clear cut decisions to focus on specific narrative themes, it helped shape the direction of my edits further away from just being "best of" or "highlights" montage reels. Adhering to this approach of conveying narrative themes as best as possible, however, sometimes meant breaking with the actual chronological unfolding of events as originally presented in the movies. For Monsters, Inc., for example, to tell the story of Sully’s caring for Boo we needed to first explain how the factory "scare floor" actually worked, with its access to children’s multiple bedrooms. To show how sad it was for Sully to leave Boo behind before he reopens her bedroom door at the end of the movie, however, I decided to introduce the characters’ sad parting scene in "flashback", right before Sully opens the door. Such an arrangement deviated from the feature film, but gave the best emotional payoff possible for the concert audience while at the same time complementing Randy Newman’s underlying score. Another example is WALL-E in which it was decided early on that we would focus on the romance between the little trash compacting robot and E.V.E, as opposed to the story of "humans in space". Such scenes struck an emotional chord with moviegoers and also offered some of the most beautiful scores Thomas Newman created for the film. In order to center on the romance theme, however, we felt we needed to remind audiences of WALL-E’s personality first – his humor and sense of awe. Again breaking from original feature film release narrative order, I decided to first showcase scenes in which WALL-E comically sifts through trash in his "day job", as well as when he takes in the wonders of the universe upon leaving Earth. Although WALL-E first meets E.V.E. before leaving his home planet, presenting concert audiences with his tour of the universe first made for a better understanding as to why WALL-E is so awe-inspired by E.V.E.‘s ability to fly (when she was introduced on Earth) and how easy it was to immediately fall in love with her. 2 – Concert Performance Time Constraints: The other challenge to editing this concert was purely logistical: time. Working closely with San Francisco’s Davies Symphony Hall, we determined that a concert event of this type should run approximately 90 minutes in total length, with a 20-minute intermission included. With 13 Pixar feature animated motion pictures to account for, that roughly determined that each of my edited suites should run for as short as four minutes to as long as seven or eight minutes, but no longer. Given the adherence to highlighting particular narrative themes per movie and the ability to shift scenes out of sequence, I could cut in accordance to such time constraints, and as a whole deliver edited concert material within the requested 70-minute total running time. In the final stages of production, my job as Creative Editor also entailed final video projection quality checks with Brice Parker and Laurel Ladevich prior to the actual live performances at San Francisco’s Davies Symphony Hall, connecting with Disney Music Publishing’s team of Johnathan Heely and Ed Kainins to go over technical concerns regarding smooth video projection playback rates and cross-comparing conductor versus audience synced video footage, and also communicating with Music Arranger, Mark Watters, regarding any last (minute) questions or suggestions during rehearsals with Conductor Sarah Hicks and the Davies Symphony Orchestra. Q: I found it interesting that the music wasn’t shown in chronological order starting with Toy Story and ending with Brave. Knowing Pixar, I knew there was some thought given to the program arrangement. Can you tell me more about the decision-making? and, the resulting overall tone of the piece I ended up editing to represent each movie. We really felt that the specific movies per each of our five Pixar directors (Andrews, Bird, Docter, Lasseter, and Stanton) should be equally spread across the program as opposed to being clumped together since there may be aesthetic similarities if we group one filmmaker’s body of work one after another. Why not instead spread them out? Similarly, we felt that our four Pixar music composers (Doyle, Giacchino, R. Newman and T. Newman) should also be separated across the entire concert so their composing styles could be best appreciated played in contrast to one another, as opposed to being performed one after another. In addition, it only made sense that Pixar sequels (such as sequels for the Toy Story and Cars sagas) should be separated from one another in the program so they could be appreciated on their own merits, and not unfairly condensed down as if to imply that they together represent just one story and individually nothing more. Lastly,, the final edited suite I created for each Pixar movie was then assessed for content and the resulting overall tone that was created. For example, The Incredibles and Cars 2 suites I cut really celebrated the action adventure spirit contained in each of those films, therefore they should perhaps not be placed next to each other in order to give the audience variety spread across the entire concert. On the other end of the spectrum, Finding Nemo and Up evolved into offering two of our most dramatic and emotional suites for the evening, therefore they should intentionally be set apart from each other for optimum audience appreciation. As mentioned, the entire process lasted for (more than) two years, with much collaboration and back and forth communication from all involved. It was truly a fun process for myself and everyone involved, all in the name of our love of musical scores. In addition to the satisfaction of representing our Pixar movies, directors, music composers and movie soundtracks as best as possible, having audience members experience and enjoy Pixar’s 13 movies through music and just in the span of a mere 90-minute concert performance was an extremely rewarding experience for me as the project’s Creative Editor, and hopefully for the audience as well! Have you experienced Pixar in Concert? Pixar Classics to be Re-Released in AMC Theatres! Seeing a Pixar film theatrically has always been a special experience. It’s been difficult to relive these films again on the big screen, but re-releases such as the Toy Story double feature and the upcoming 3D versions of Monsters, Inc. and Finding Nemo have helped alleviate this problem. Now AMC Theatres is offering the chance to once again enjoy a line-up of recent Pixar hits the way they were meant to be seen! Ratatouille, WALL-E, Up, and Toy Story 3 will screened at select AMC Theatres in a limited engagement from May 25 to May 28, 2012. Toy Story 3 and Up are set to be shown in 3D, making this the first chance to catch the 3D version of Up since its 2009 release. Each screening will also be accompanied by an exclusive behind-the-scenes look at Brave. Tickets are priced at a discounted $6, ideal for families and anyone hoping to hold a movie marathon. To see if your local theatre is participating and order tickets, head over to the AMC website here. Do you plan to re-experience Pixar’s slate of classics next weekend? Correction: Contrary to listings on the AMC Theatres website, Toy Story 3 and Up will not be screened in 3D. Welcome to Woody’s… I mean, Mater’s News Tow-In! With Cars 2 a little over two months away, I thought I’d switch things up a bit. Here are the headlines Mater towed in today. Three Vintage Cars 2 Posters Premiere: With each new Pixar film, I always seem to look forward to the eye-popping "vintage" posters released. CinemaBlend.com has obtained high-resolution images of three brand new one-sheets. The Cars 2 posters were seen hanging in the atrium when we visited the studio, although I’ve never seen them in detail like this! New Ratatouille Box-Art: Can you see the trend here? Disney/Pixar has been re-packaging its library of films to follow a certain aesthetic. See the new cover of Ratatouille on Blu-ray (re-released July 5, 2011) for example; just like Toy Story, Toy Story 2 and the new Cars Blu-ray, one side features the film’s protagonists while the other features the logo on a colored background. Expect this trend to continue with re-packagings of Up and TS3. How do you feel about the uniform box-art? Coming Soon’s John Lasseter Q&A: How did the rising price of gasoline affects Cars 2? Where did the spy-angle come from? All this and more has been answered in great detail thanks to ComingSoon.net’s Q&A with Cars 2 director, John Lasseter. Mater’s News Tow-In; keep it or dump it?